For the first time, SpaceX is due to launch an entire room to the International Space Station – a room that can go into orbit folded up, and then be expanded like an accordion once it’s hooked up to the station. 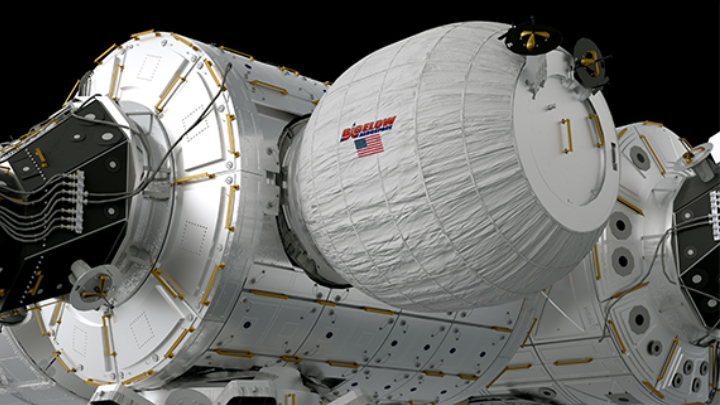 The 3,100-pound Bigelow Expandable Activity Module, or BEAM, is the primary payload for a cargo resupply mission. BEAM will be packed in the “trunk” of SpaceX’s uncrewed Dragon cargo capsule when it’s lofted into space by a Falcon 9 rocket. Liftoff from Cape Canaveral Air Force Station in Florida is set for 4:43 p.m. ET (1:43 p.m. PT) April 8. Forecaster Kathy Winters said there’s a 90 percent chance of acceptable weather. “It’ll be a great day to launch a rocket,” she told reporters at NASA’s Kennedy Space Center. This entry was posted in GeekWire and tagged BEAM, Bigelow Aerospace, Dragon, Falcon 9, International Space Station, NASA, Space, SpaceX. Bookmark the permalink.